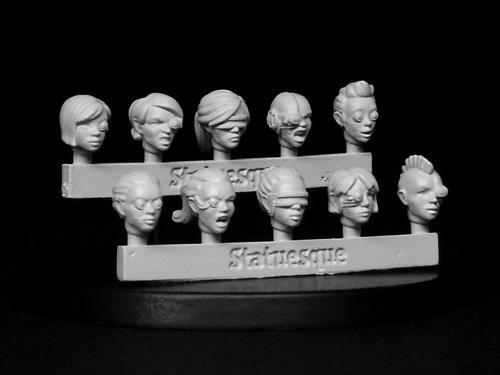 Featuring a variety of bionic prostheses, the Fine Scale Female Heads - Bionic set is designed to allow you to convert your fine scale miniatures. These heads are designed to match those of the Statuesque Sci-fi range of figures - and many other figures as well! 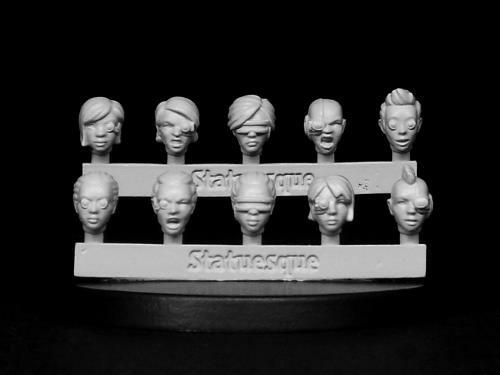 The SMA106 Fine Scale Female Head - Bionic set is priced at £4.60. Purchase 2 or 3 SMA106 sets for £4.35 per set. Purchase 4 or more sets for only £4.10 per set! Check out the comparison photos and test conversions using all sizes of Statuesque Female Heads HERE.